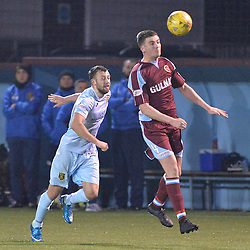 David Marsh has signed contracts to remain at Stenhousemuir for another season. Marsh has been a very effective defender for Stenhousemuir and the Manager is delighted that he is staying on. This Warriors look to have a strong defence with Marsh joining up with the Dunlop brothers and Ross Meechan all under contract. Fraser Kerr will be moving on from the club. Kerr was a strong defensive asset to the team last season and the club wishes him well for the future. Brown Ferguson is in discussion with a number of players and further signings are near completion. Further details will be announced as soon as we have confirmation. The club website will be the only official resource for signing news and we will use social media to alert fans to any news.